Today was Day #4 of Chocolate, Date and/or Fig Theme Week. 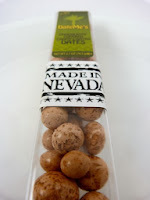 These DateMe's -- chocolatey covered, candy-coated, date pieces -- from Kimmie Candy Company (Reno, NV) were "Made in Nevada" proud. I bought these at a visitor's center in Lake Tahoe recently. 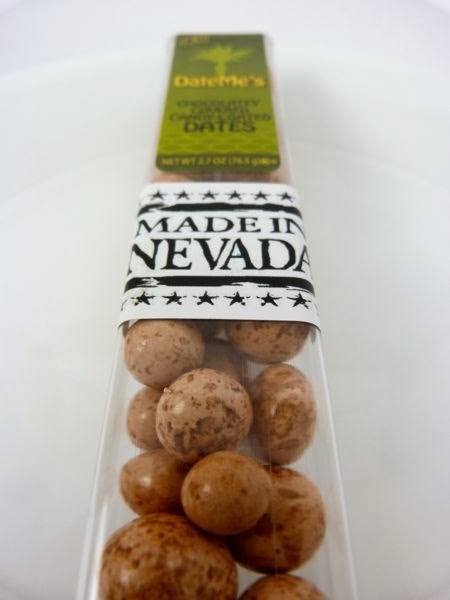 Gluten-free, these DateMe's were crunchy and crisp in a way that most wheat-free/wafer-free chocolate candy items usually aren't, which was nice. 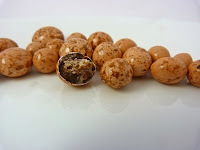 The dates provided a bit of extra fruity sweetness, making this candy a bit too sweet overall for me; however, this will be fine for some. 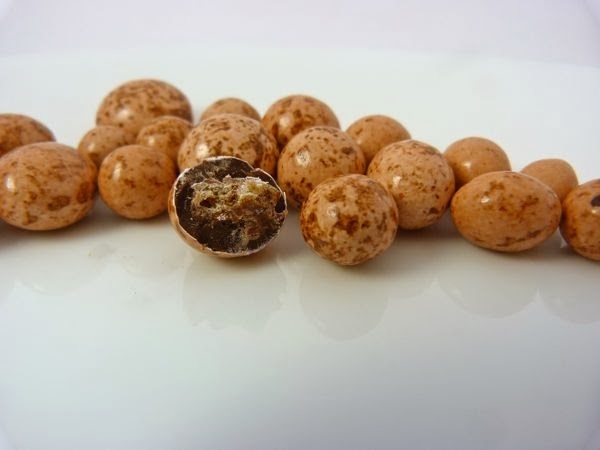 The glossy, beige rounds were attractively speckled with brown (like little round eggs), and might look attractive in a small serving dish, or an edible nest.